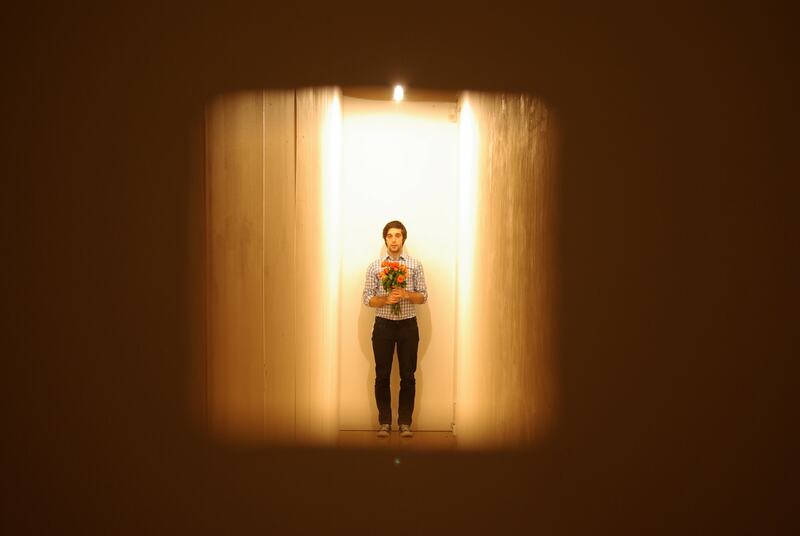 Inside a purpose built corridor lit by a single bulb, with no windows and only one door, Search Party attempt to find some genuine intimacy with their audience. 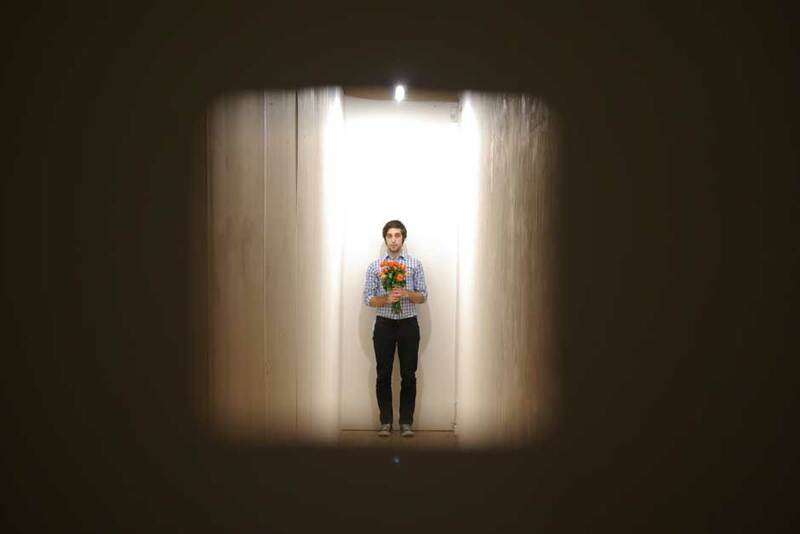 Search Party invite audience members to view inside the stark, narrow corridor through a tiny spy-hole in a door that separates them from the performer. From this position of separation and through a series of silent exchanges the audience are coaxed into letting their guard down, to flirt, to spy, to bear their souls through the tiny hole in the door. As the performance develops the roles of the performer and audience member become blurred; the watcher becoming the watched. 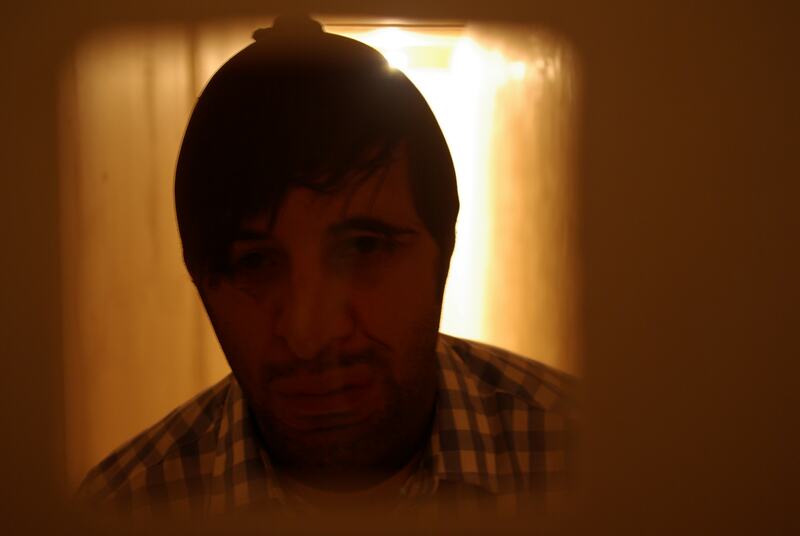 The Corridor explores ideas of intimacy, voyeurism and non-place. The Corridor is a one-on-one gallery performance created during a Rules and Regs residency at South Hill Park, Bracknell in 2008. The Corridor was created in response to a set of rules given to Search Party at the start of the residency.